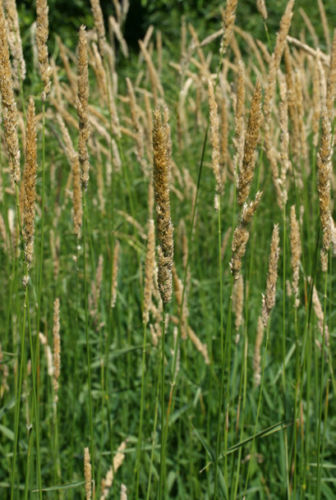 Reed canary grass is common in wetlands throughout Wisconsin and is one of our state’s worst invasive species. Settlers and farmers planted this grass as a source of food for their livestock. 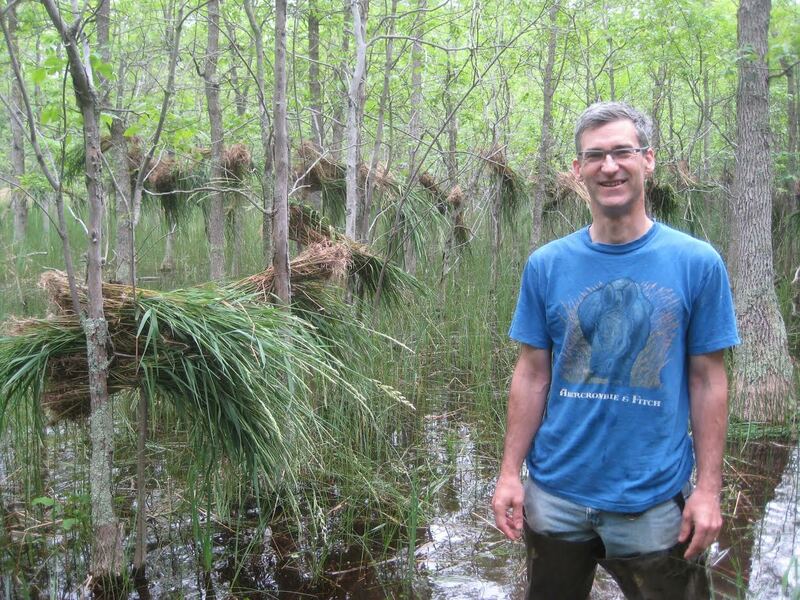 This species is very aggressive; growing in thick, dense mats, it prevents other native wetland plants from growing. 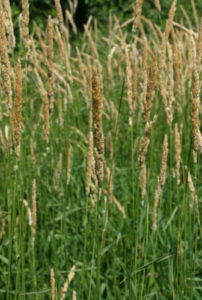 Reed canary grass can grow up to six feet tall and has abundant leaves and hollow stems. It is one of the first plants to green up in the spring and the last to die back each fall. Sometimes it is so dominant it is the only plant in an area. It produces a seed head that extends above the leaves in June and sets seed by early July. Reed canary grass is found throughout Wisconsin. It will be among the first plants to grow in moist areas following ground disturbance. It thrives in disturbed areas, especially in shallow water wetlands high in nutrients and sediment from agricultural and urban runoff. Reed canary grass produces enormous quantities of seed that germinate in disturbed soil or float downstream to colonize stream banks. It also spreads without seed, growing underground and forming increasingly larger patches. The best control of reed canary grass occurs when you catch it before it dominates your wetland. 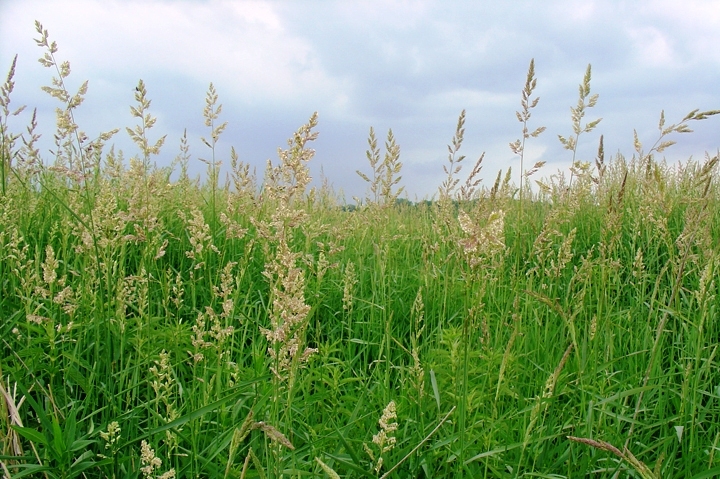 Various control methods are detailed in Reed Canary Grass (Phalaris arundinacea) Management Guide: Recommendations for Landowners and Restoration Professionals, available from the Wisconsin Department of Natural Resources. Your choice of control method should depend on the size of the stand and the health of the native plant community in your wetland. Regardless of whether you are dealing with small patches or a large stand, repeated control efforts over several growing seasons will be necessary for reducing reed canary grass infestations. Long-lasting control and management is typically only possible when the underlying causes of the infestation–usually altered hydrology–are repaired.